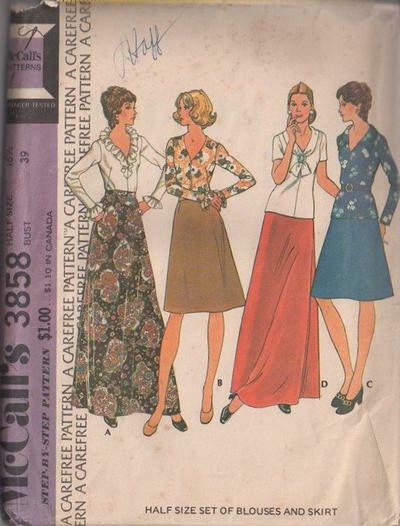 1973, 70s Evening, Retro Half Size Clothing Patterns - All blouses have back zipper. A has neck and sleeve ruffles. B with sleeve ruffles has button trim. C has collar. D has collar drawn thru buckle. Skirt has back zipper.